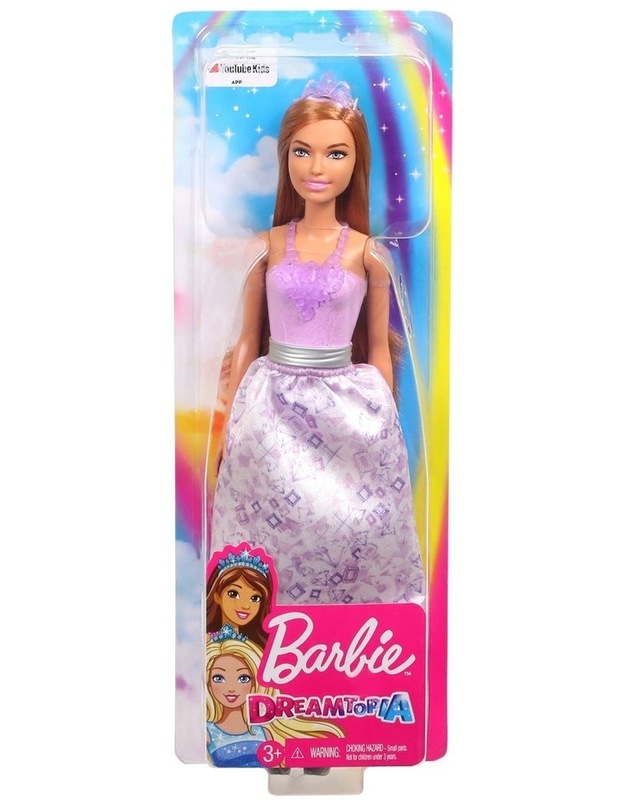 The Barbie Dreamtopia princess dolls let imaginations play out dreams and fairytales. 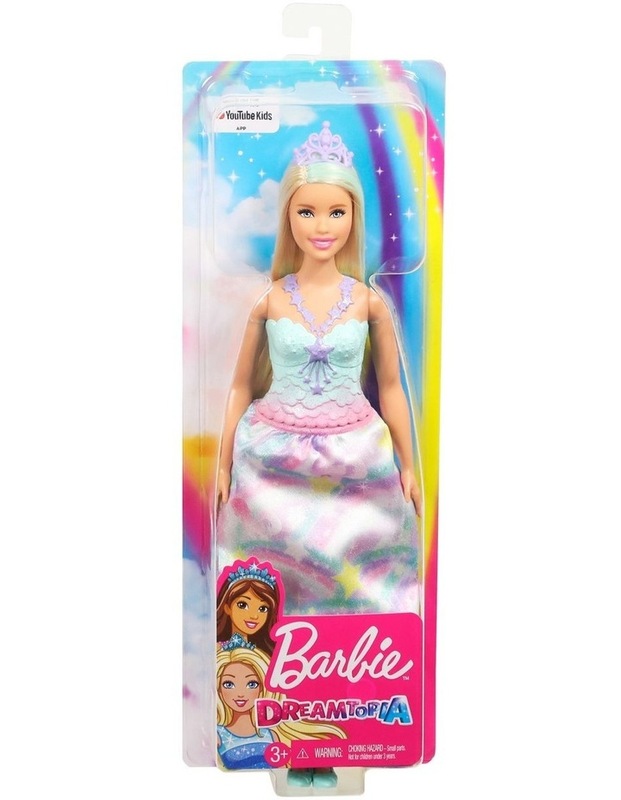 Play in a magical land with Barbie princess dolls from Barbie Dreamtopia -- choose a doll themed to candy, jewels or rainbows! 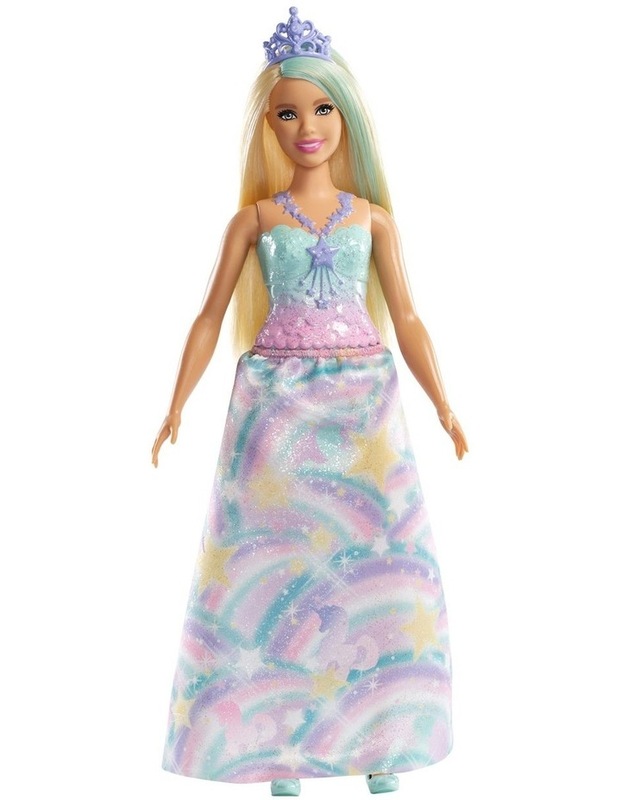 Each doll wears a colorful princess outfit with a decorated bodice and printed skirt. A princess tiara and matching pair of shoes complete each look with more color. Long hair with fantasy-colored streaks is a fun accent! 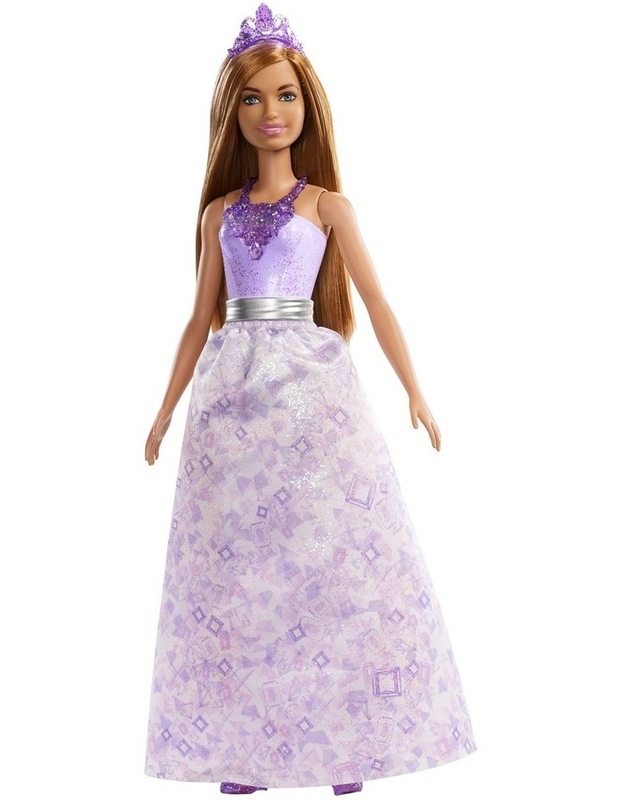 Collect all the Barbie Dreamtopia dolls and toys to recreate favorite scenes or tell your own fairytales (each sold separately, subject to availability).